Backpack Holidays offers a 2 nights and 3 days stay in Pench. 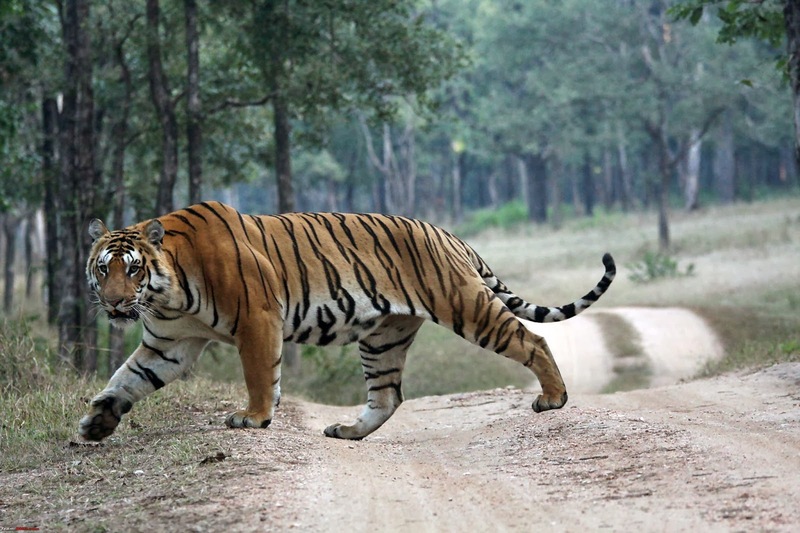 The forest of Pench is known for its exquisite variety of wildlife, and our team of experienced naturalists and drivers make sure that you have a memorable experience. The itinerary includes accommodation in the luxurious tented resort, sumptuous food, 4 Jungle Safaris and surface transfers to and from Nagpur. Needless to say Jungle Lore expertise is the highlight. Arrive in Nagpur and post breakfast transfer to Pench Jungle camp. Relax at the resort. After lunch, jungle safari to Pench Tiger Reserve and experience majestic wildlife. On returning back to resort, we shall have an informative slide-show/documentary show on the wild habitat of Pench. Dinner and overnight stay at the resort. Please note: People can also travel by train. The plan gets altered with 2 additional nights in the train.